Our Definition of Success is when You, the Customer, are Perfectly Satisfied with the Final Job Result. I used Grade A Cuts throughout 2017 and received excellent service in all areas, including lawn care, shrub trimming, and general property clean up. Doing business with Jonathan has been a real pleasure. I highly recommend his company. Grade A Cuts has been working on my property for 3 years. They have been mowing, trimming, blowing, and also misc. landscaping work. All of the work quality is excellent and completed on schedule. This is the first year I used Grade A Cuts and I've been very pleased with the work - cutting, edging, blowing, etc. My lawn has never looked better. Jonathan is doing a great job overall. 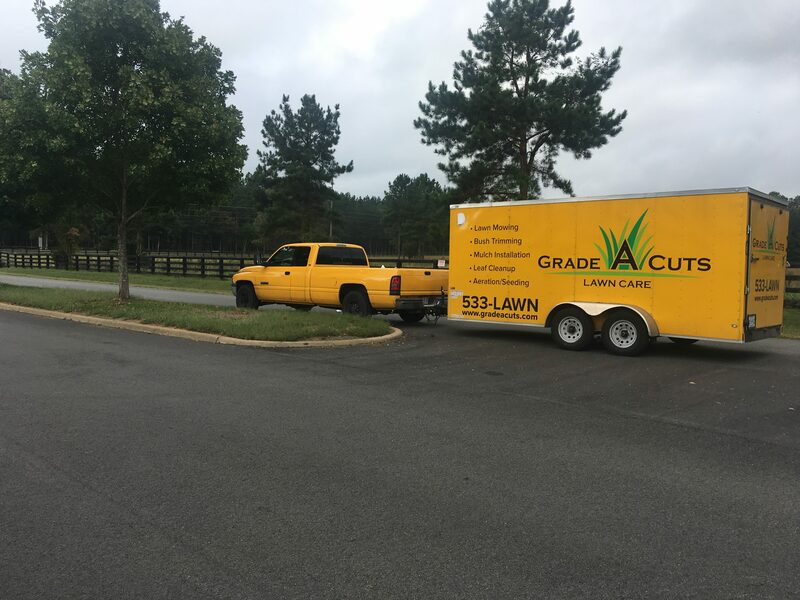 Located in Powhatan, Grade A Cuts is a full service Residential & Commercial Lawn Care & Lawn Maintenance company, servicing Powhatan, Midlothian, Chesterfield, Goochland, Richmond, and surrounding areas. Mowing , String Trimming, Edging all driveways, sidewalks, patio and flower bed edges, and Blowing clippings & debris off all hard surfaces. 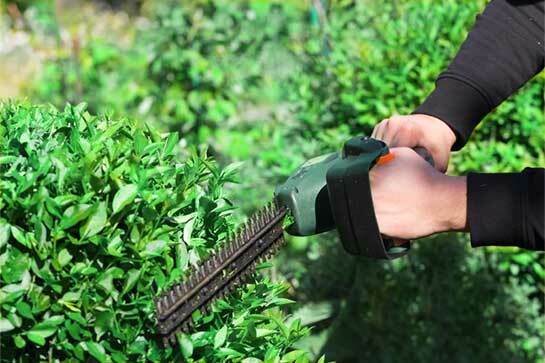 We provide professional trimming and clipping of all bushes, shrubs, and hedges, followed by cleanup and disposal of all clippings & debris. We have teams skilled at bringing in the mulch of your choice and applying it quickly, efficiently and without leaving behind a huge mess. Aeration can be an extremely vital element to a healthy lawn because it allows air and water to penetrate built-up grass or lawn thatch. 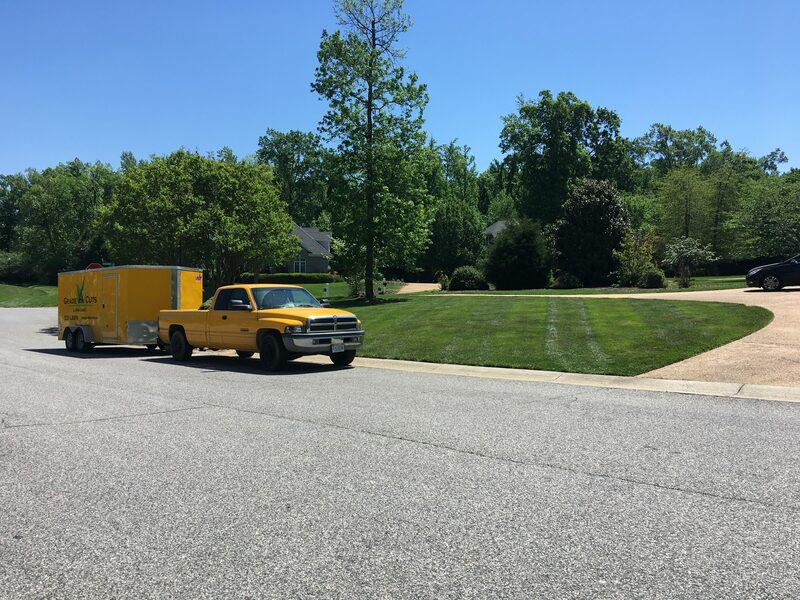 Professional Lawn Care Services in Powhatan, Midlothian, Chesterfield, Goochland, Richmond VA & Surrounding Areas. 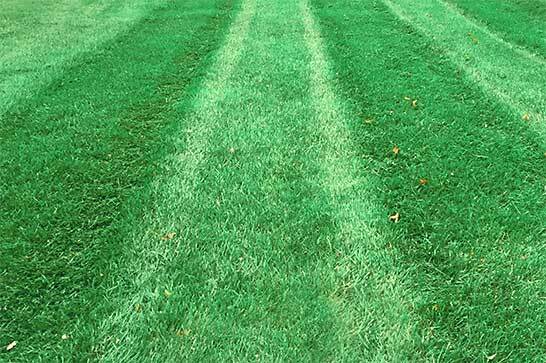 For proper lawn care, Grade A Cuts Lawn Care is your best bet. The scope of your project doesn’t even matter. Maybe you only need a simple lawn mowing schedule. We’ll set it up together with you and be there on time, every single time. If, for some reason (like bad weather) we can’t fully deliver on our promises, you will be informed in good time. We can mow the turf on your entire property. We perform weed eating around flower beds and other obstacles on your lawn. Our edging techniques are impeccable and detail-focused, so you’ll never find any grass clippings sidewalk or driveway once we’re done. Other services we provide include seasonal work, such as leaf cleanup & removal, because a good spring, fall, or anytime leaf cleanup will ensure there are no dead leaves rotting on your turf. Lawn renovations are the house special and can genuinely work miracles in restoring the beauty of even the most damaged pieces of property. And if you need aeration and seeding in spring or fall, to help build a lush, thriving lawn, you can totally count on Grade A Cuts Lawn Care. How can you be sure that you can trust us? We’ve got the best guarantee for the quality of our services. You will be absolutely thrilled with our service. Our definition of success is when you, the customer, are perfectly satisfied with the final job result. All our clients are welcome to let us know if they’re less than happy with any work we’ve put in for them. Then, we will do what it takes to make it right. 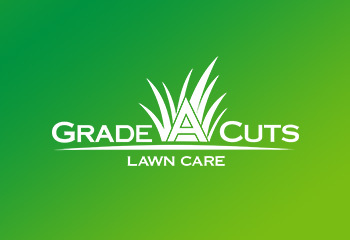 But we trust you will appreciate the quality and convenience that Grade A Cuts Lawn Care delivers. That’s because we plan on being in business for many years to come, which makes our customers’ satisfaction our ultimate goal.